I mentioned last week that we've been crossing lots of things off of our NYC bucket list, many of which have been on there since we moved to the city (side note- that currently feels like an eternity ago). 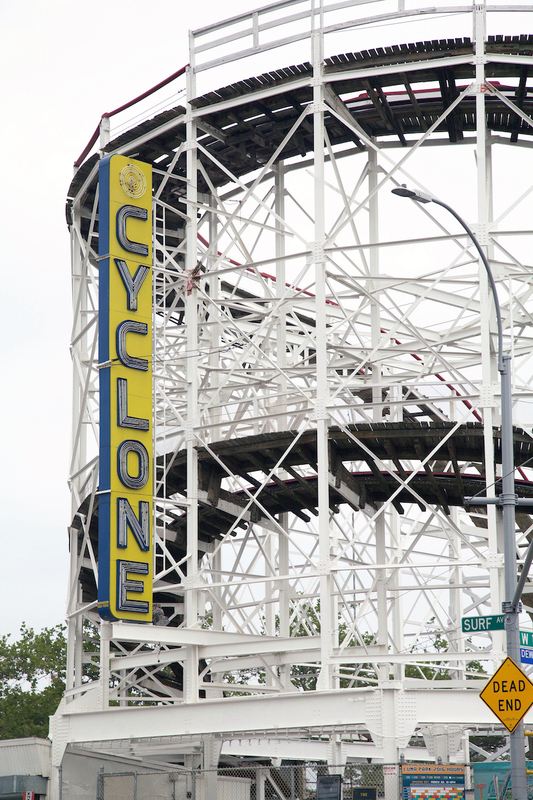 One of those things, which I've already shared a few pictures of, is Coney Island. Coney Island was everything I thought it would and everything I thought it wouldn't be. We didn't go on any of the rides (Mr. RC and I aren't much for carnival rides and we're probably the only two people on the planet that you couldn't pay to ride a rollercoaster #meanttobetogether), but we did go to the aquarium, walked the boardwalk, and, obviously, stopped for Nathan's Hot Dogs. 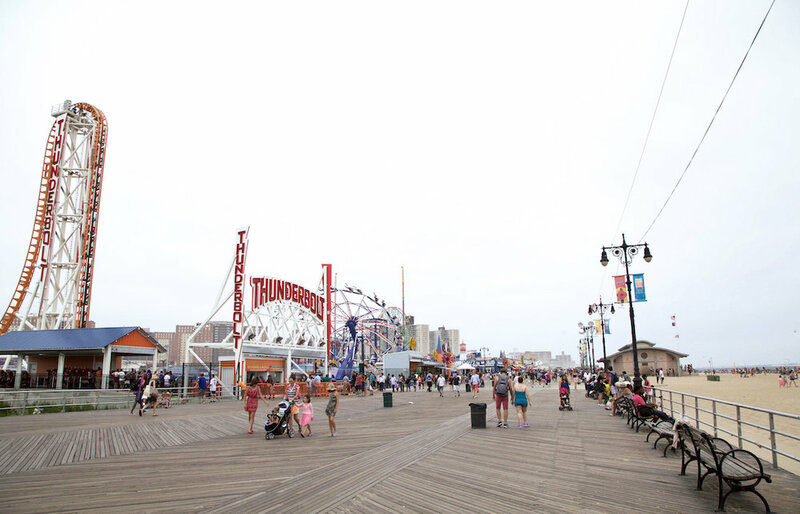 A few things to note if you're planning a visit to Coney Island- the subway stop is literally a block away (super close and convenient), street parking is metered and somewhat difficult to find, the beaches are free (throwing that in there since I know they all aren't), there are children running everywhere, the aquarium is fun (especially the outdoor area) but it is short and sweet, walking through the ride area is slightly terrifying, and the wait for Nathan's is eternally long (like 45 minutes long) but so, so worth it (well, for the hot dogs...the fries were kind of soggy and I could have done without them). It was pretty hot, but also super windy (as is evidenced by the blowing sand, limited visibility in the last photo and my wild hair), the day we decided to adventure out to Coney Island so I wore this light and breezy maxi dress. When the Lilly Pulitzer team reached out a while back, asking if they could send me a dress, I was hesitant to agree. I've always enjoyed seeing their bold, bright prints on other people, but for me, I'm a neutrals girl through and through. However, this dress has quickly become my one exception. It's so comfortable and about the only thing I can stand to where on days that are hotter than the blazes. Getting me to break my neutral dress code is no easy feat, so you know if this dress is accomplishing that, that it must be a good one.